Before it was occupied by Georgetown University office space, this iconic four-story brick building housed the Capital Traction Company’s off duty streetcars. The Georgetown car barn is one of many extant remains of the formerly robust network of streetcar infrastructure that carried Washingtonians around the city for a hundred years. Washington’s first streetcar line opened one year into the Civil War, in 1862, running a horse-drawn car from the White House to the Capitol. The number of streetcar companies and lines proliferated in the following decades as Washington experienced a population boom. In 1888, Frank Sprague invented the first electric streetcar, and about a decade later Congress started requiring D.C. streetcar companies to ditch their horses and make the switch. The greatest impact of the electric switch (other than the reduction of horse poop) was that it opened up the hills above Washington for suburban development. Communities like Bethesda, Silver Spring and Tacoma Park offered the perks of country living while providing transportation to urban jobs. By 1895 the “Great Streetcar Consolidation” brought many of the streetcar companies under the roof of the Capital Traction Company, an early transportation conglomerate. That same year they went on to complete the car barn in Georgetown as an end of the line facility on M Street. Streetcars fell out of favor nationwide in the 1950s, and the last one ran in Washington in 1962. The streetcars themselves are now long gone (H Street not withstanding), but if you know where to look there are some scattered remnants across the city. 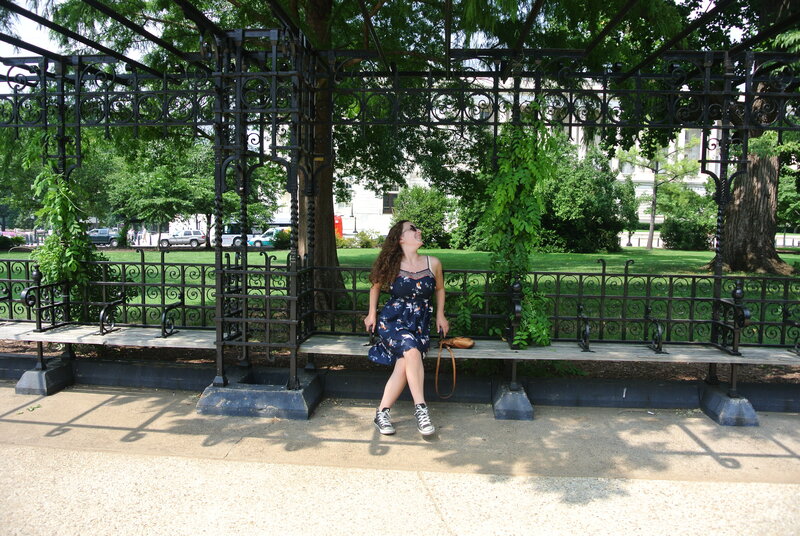 The ornate wrought iron benches on Capitol Hill were originally a streetcar stop (they were also designed by famed landscape architect Frederick Law Olmsted!). The Dupont Underground was also originally built so that streetcar traffic could bypass the congested traffic in the circle above. There’s also the obvious old streetcar tracks poking through the cobblestones and asphalt along several stretches in Georgetown. Last but not least, PEPCO, the region’s utility provider, was originally formed as the electric division of a streetcar company.